Shallots – 8 to 10 nos. Red Chilli/Vara milagai – 2 nos. Heat a pan ,dry roast the items given under “to roast and grind”. Let it cool and grind it as a coarse or smooth powder. Soak tamarind and salt in half cup of hot water and take out the juice and keep aside. Cut the veggies, onions and tomatoes. Set everthing ready. Pressure cook dal and keep aside. Now heat a pan, pour oil, season with the items given under “To temper”. Then add cooked dal and veggies. Let it boil until the veggies get cooked. Then add turmeric powder and tamarind water. Blend well to incorporate. Once it starts boiling, add grinded powder.Stir well. 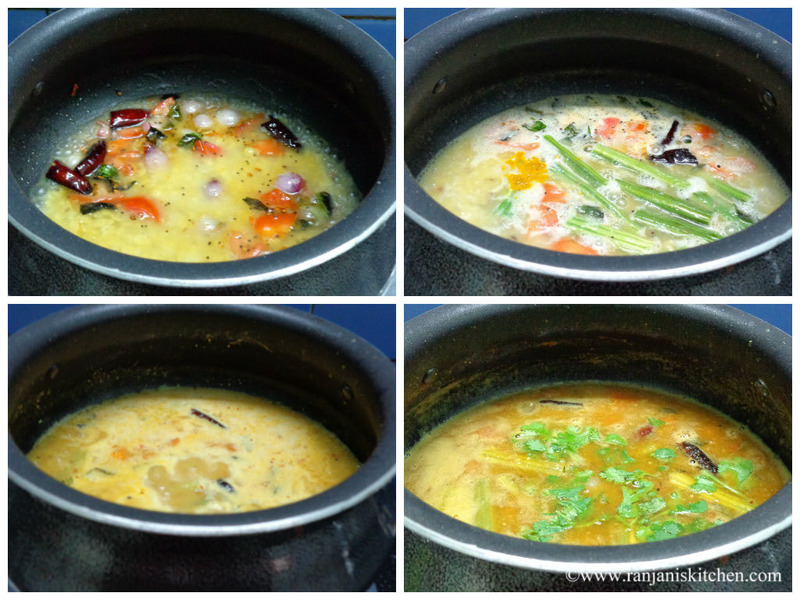 Allow it to cook for 6 mins and sambar becomes semi thick. 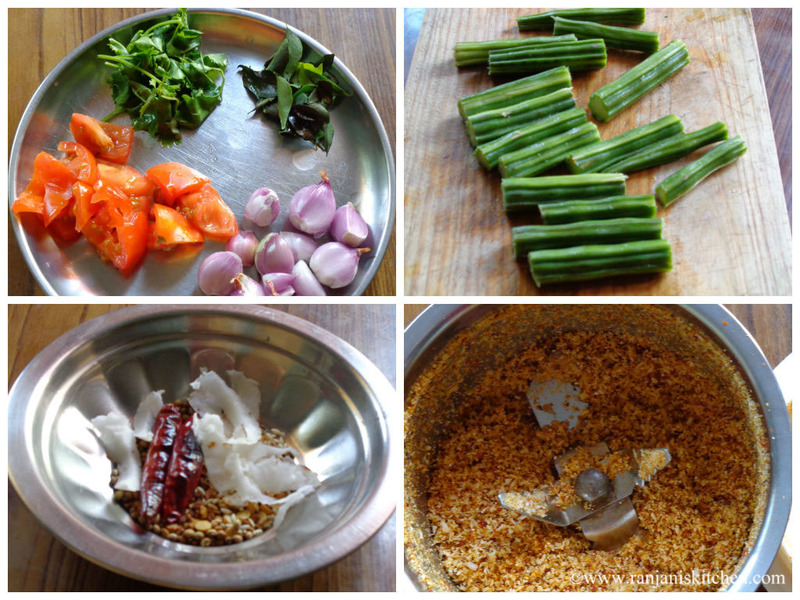 Switch off the stove and garnish with coriander leaves. 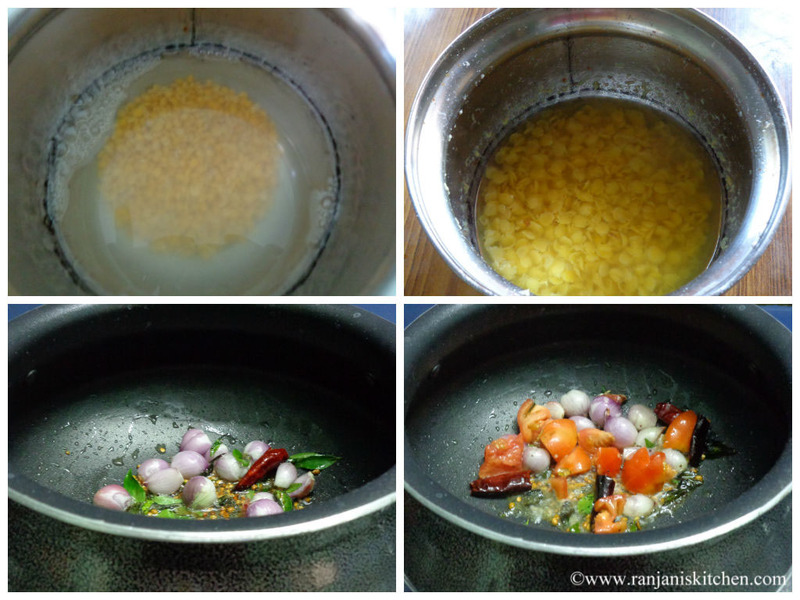 Serve hot with steamed rice and poriyals. You can prepare this without veggies also. It will be good with the spice flavor. Also, you can adjust red chilli depends on spice level. 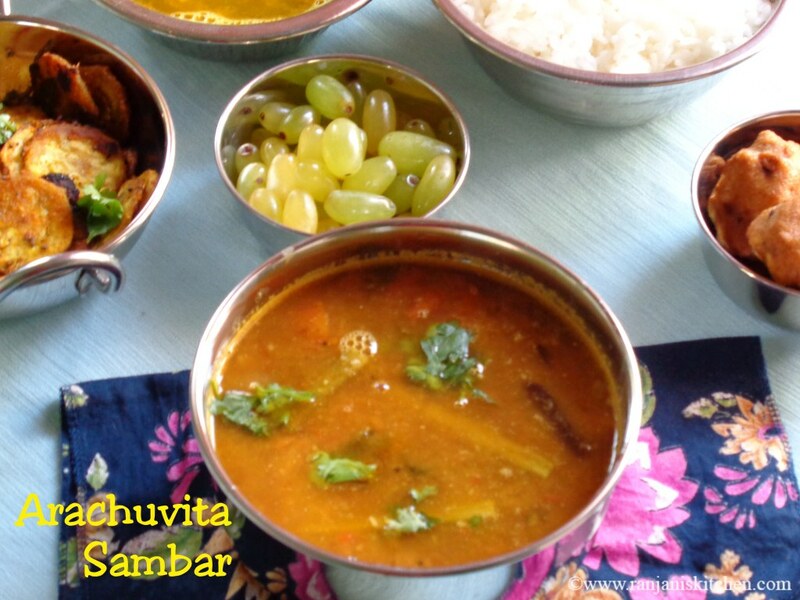 Delicious Sambar .. 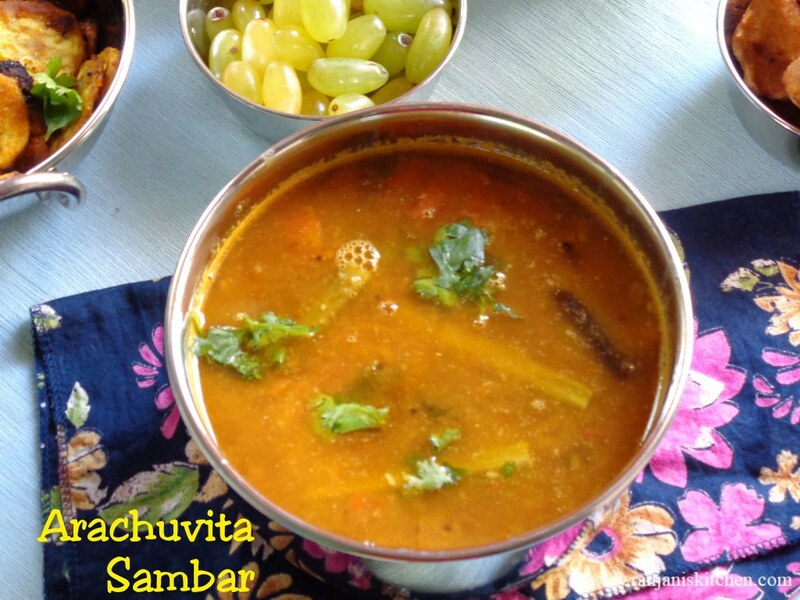 I have already tried few versions of arachuvitta sambar, but didn’t turn out well.. 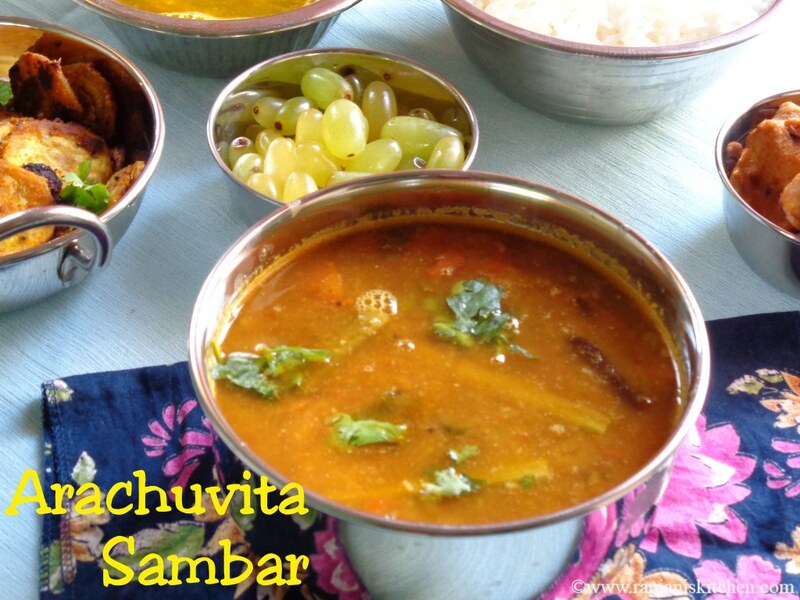 I have bookmarked your recipe, will try your version..
Flavorful sambar…loved the way u made this dear 🙂 looks inviting !! Love the step by step picture! My girls love drumstick sambar. Love it..